Prof. Dr. Rose Alinda bt Alias is a renowned Professor of Information System Management who has an illustrious career in UTM. Prof. Rose Alinda has been an academic administrator for quite a while, holding the post of UTM Deputy Vice-Chancellor (Academic & International) from January 2012 to January 2017. She was the Chairperson of the Malaysian Deans of Graduate Schools Council (MyDEGS) from Jan 2010 until Jan 2012 while serving as the Dean of UTM School of Graduate Studies (1 Aug 2009 -14 Jan 2012), and the Dean of UTM Graduate School of Engineering from 1 Aug 2007 – 31 July 2009. Prior to that, Prof. Rose Alinda took charge as the Deputy Dean (Project Management & Finance), UTM Research Management Center (1 April 2005 – 31 Mar 2007), and Deputy Dean (Graduate Studies & Research) UTM Faculty of Computer Science and Information Systems FSKSM (1 July 1998 – 31 Mar 2005). She obtained her PhD in Information Systems from University of Salford United Kingdom in January 1998. UTM 4.0 Academic Programme very much reflected the 4IR where we leverage on the industry 4.0 technologies. It involves the 21st century curriculum, new academia learning innovation, gamification, industrial Iot lab, learning analytics, cyber-physical systems. Prof Dr Rose Alinda is currently the Head of the Information and Service Systems Innovation (ISSI) Research Group and Senior IT Associate Fellow at UTM Centre for Information and Communications Technology (CICT), where she headed a collaborative academia-practitioner data analytics project for Ministry of Higher Education (MOHE) for the design and development of data warehouse and business intelligence analytics dashboards. She was also the Chairperson of the Ministry of Higher Education (MOHE) Task Force for Academic Programme Transformation for 4th Industrial Revolution, which developed the Future Ready Curriculum 4.0 Framework for MOHE. 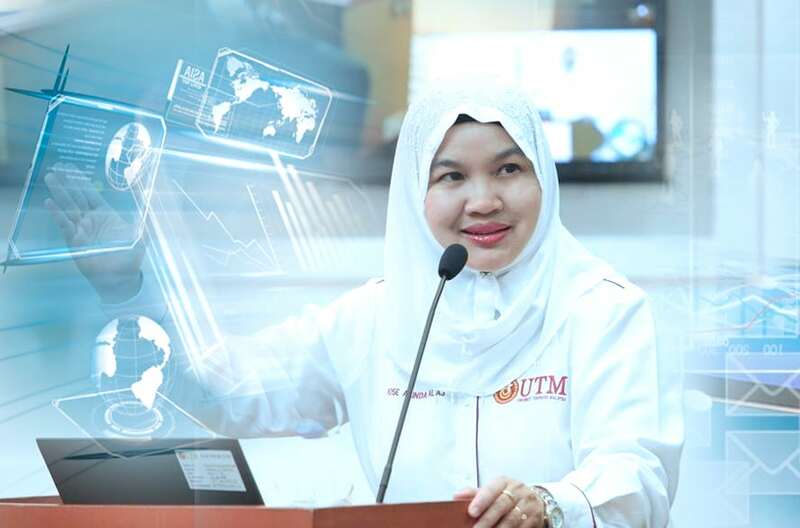 As the UTM for 4th Industrial Revolution Task Force head, Professor Dr Rose Alinda Alias has worked hard to establish UTM as a university that practices and adopts the 4IR framework and has come up with UTM 4.0 Digital Nervous System. Professor Dr Rose Alinda and her task force focus on exploiting and leveraging the Industry 4.0 cyber physical system technologies such as artificial intelligence and robotic to change the way the universities educate global future citizens to create a new breed of graduates that are able to excel at 4IR while at the same time value ethics and spirituality. Prof. Dr. Rose Alinda strongly believes that by introducing 4.0 for 4th Industrial Revolution to UTM which is responsive to the impact of digitisation, it will help UTM students to be more competitive to meet the expectations of future jobs.